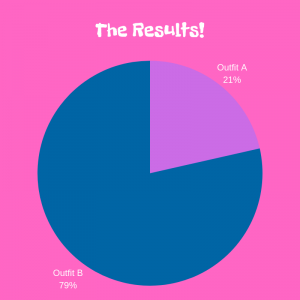 Clash of the clothes: the results! 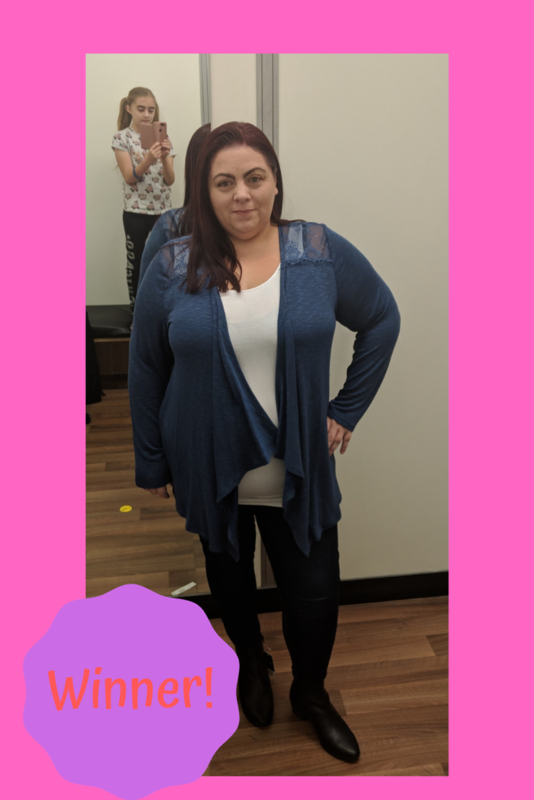 A little later than planned but here are the results! Outfit B was a clear winner and the person who styled outfit B was FJ! So I have one very happy ten year old who thinks that the fact that she has managed to completely thrash me in the first round of the game is hilarious! FJ received a new pot of slime which she had been wanting as a thank you for taking part. She is also really looking forward to getting to pour cold water over me but I am currently poorly with a cold so she will have to wait until I feel better. I have promised her that as soon as I am better, she will get to do it! I will video and post to my facebook so if you follow me over there, keep an eye out for the video. Also Congratulations to Fiona from Leeds who won the Asda gift card. Thank you to everyone who took the time to vote – next time we will be styling a ten year old using only items in our local Primark. I love to hear from you and always reply although I may take a little longer than normal as I am now back at uni full time.